Love, love, love some Venetian glass jewelry projects! Check out Gaea's Etsy finds for this month's challenge! Want to branch out from beaded jewelry alone? Or you sew, do embroidery, felt and would like to add jewelry to your work. Charlene reviews the perfect book for you. Always looking for a way to use up her stash, Carmi creates a button and fabric wearable. Under the dome is a new ring made possible with Jewelry Clay. 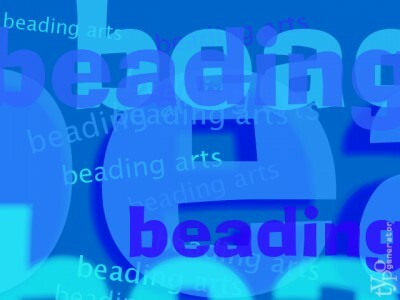 Jean reviewed... and even more exciting, has a GIVEAWAY of the spectacular new book, Marcia DeCoster's Beads In Motion ! So do check out the review and consider yourself invited to enter the giveaway while there is still time! Working with polymer clay, wire, and assorted accent beads, Andrew creates a very tribal statement necklace.